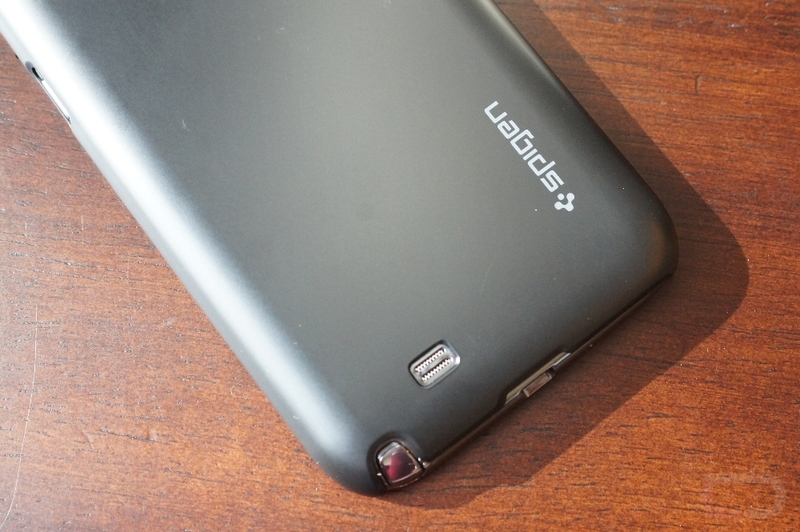 On Friday, I took a look at the new Ultra Thin Air case for the Nexus 4 from Spigen. As I mentioned in that post, these Ultra Thin Air cases have long been some of my favorites because of their minimal approach to what a case should be. With a phone like the Galaxy Note 2, a lack of bulk in a case becomes even more important since the device is already so oversized. With its 5.5″ display, the last thing you want to do to a Note 2 is add on weight and size – the Ultra Thin Air from Spigen does neither. Just like the N4 case, the Note 2 version of the Ultra Thin Air has a soft, matte finish to help prevent slips and falls. It has cut-outs for all of your switches and ports, including spots for the S Pen and camera. Unlike the Nexus 4 case, and in a good way, this case holds much tighter to the device and likely will never pop off unless you forcefully try to remove it. It’s not so tight that you are going to break it when removing it or anything, but it’s not semi-loose like the N4 case was. Overall, I really like this case, just as I have other minimal cases. It’s understated, super clean, and offers a great fit and some protection for the oversized Note 2 at a decent price. The Note 2 Ultra Thin Air comes in both white and black at a price of $19.99. It also comes with a screen protector ($15.99 value). Since Samsung created one design for the Note 2, this should work on all models, from all carriers.